Jeff has more than 30 years experience in human resources from working in HR himself to building a highly successful recruiting and consulting firm. 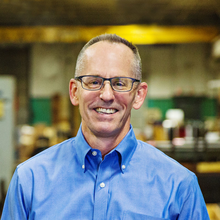 During his career he has worked to attract, engage, develop and retain employees, at all levels at companies including ConAgra Foods, industrial equipment supplier SPX, and automotive retailer Midas International, and more. As a “headhunter” he now recruits “A” talent worldwide for clients. Because of this, he knows why some employees stay…and others leave. Working with Jeff to retain talent is like working with a burglar to “burglar proof” your home. He is a member of the National Speakers Association (NSA) and a frequent speaker on the topic of retention and recruitment to organizations, associations and business groups. Jeff is the author of Employee Retention Fundamentals…No Nonsense Strategies to Retain Your Best People and Welcome to Dodge…Tales from the Frontiers of Business.